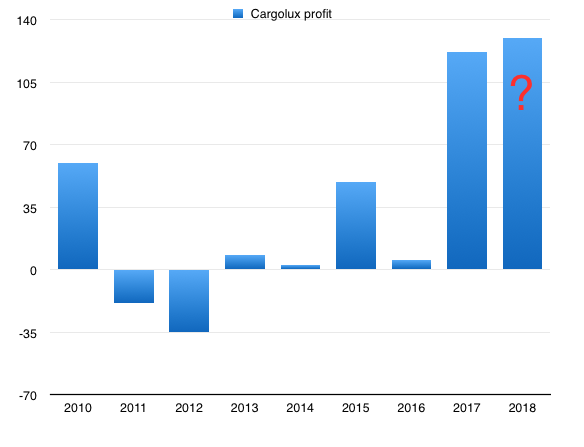 Cargolux, which last year boasted a 2,123% rise in profits to $122.3m, is set to beat that record, with its 2018 full-year results. 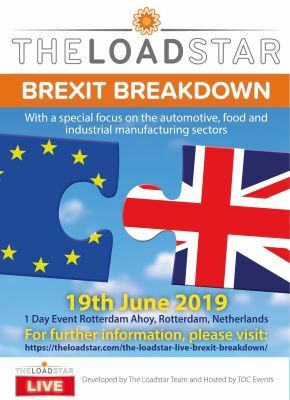 Richard Forson, CEO, confirmed to The Loadstar this week that the freighter operator would see record profits. The carrier is also building cash reserves in a bid to ensure stability in the event of any recession or downturn, which analysts are starting to predict could happen in 2020. Cargolux’s fortunes have waxed and waned significantly in recent years, and while last year was a very successful one, growth has been at a slower pace this year. But Mr Forson said the carrier was in a good position. 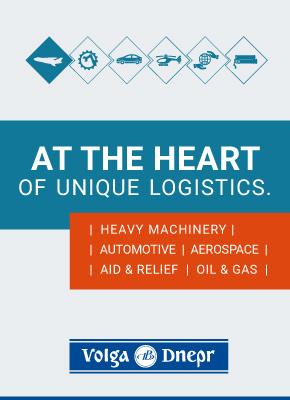 “It’s really down to what we’ve introduced – we have better yield and revenue management, and we’ve got the right capacity at the right time. One advantage in any downturn, he added, is the carrier’s ability to park aircraft at no cost. However, Cargolux is set to increase its fleet by three aircraft next year, with two purchased and one on lease. They will arrive by June or July, said Mr Forson. And he added that Cargolux faced a challenge in this respect: its long-term fleet: “We have to look at what will replace the 747-8F – Boeing is not taking new orders. “The only available freighter is the 777F, and some are now starting to come onto the used market. But at this point, we want to bring in younger 747s and try to keep them going as long as possible. Cargolux believes its 747-8Fs can survive in its fleet until 2040, “unless something else comes up”. While Cargolux’s financial reserves are building, Mr Forson noted the large capital requirement needed for new aircraft. As a result, Cargolux signed its second financing deal with Bank of China in September for a $155m global credit line, of which $45m was “immediately implemented”. “Our lines of credit are to ensure the airline can weather any period of major change in the industry,” explained Mr Forson. “If demand falls, we can remain stable and take advantage when the economy grows.